Welcome to The Newsroom. 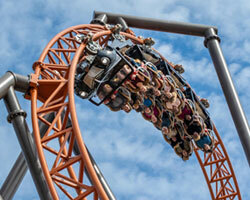 The latest press releases issued by Carowinds and details on upcoming events are all here. Working members of the media are welcome to contact the park with inquiries. 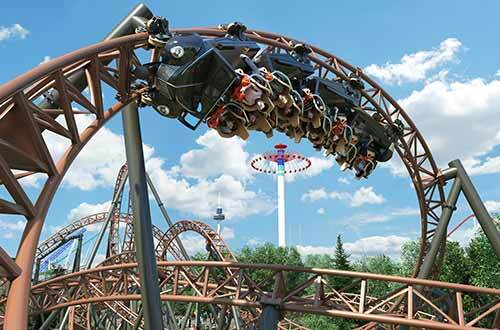 Carowinds will mark a turning point in its evolution as a destination amusement park when it introduces Copperhead Strike, the Carolinas’ first double launch coaster, for the 2019 season. Completely reimagined kids’ area features five new rides and a big, shady playground. New Great Carolina Fest event will kick off summer. Free Pre-K pass good for ages 3-5. The premier entertainment destination of the Carolinas is hiring 4,000 energetic, enthusiastic people to help ensure 2018 is the best year yet for guests. 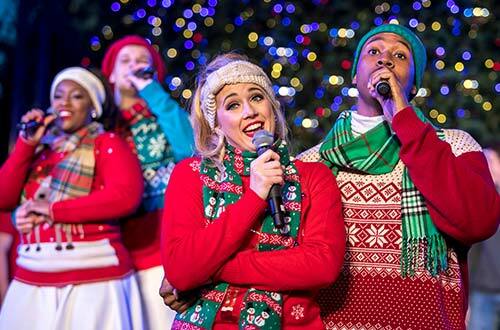 Carowinds introduces WinterFest, an all-new immersive holiday entertainment tradition, opening this Friday, November 24. The Carowinds Public Relations Department welcomes inquiries and visits from credentialed members of the news media for the production of high quality news features and programs about Carowinds. ATTENTION MEDIA: All requests for media passes must be submitted online. Information regarding our media pass policy is available in the Media Center section of our website under Media Pass Policy. 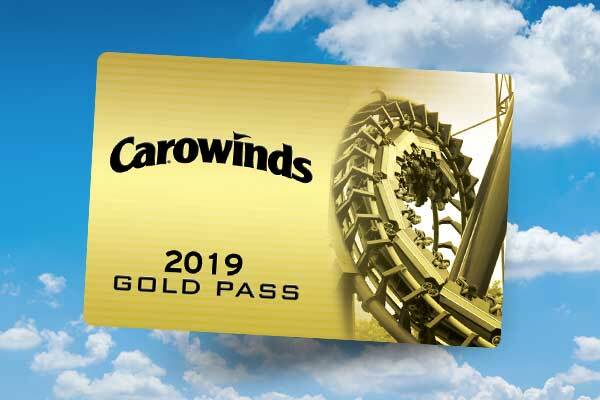 Carowinds media pass policy allows journalists to become familiar with the park’s many story opportunities while enjoying a day with family or friends. This courtesy is for the media contact personally; tickets may not be set up under a family member's name or picked up by anyone other than the media contact. Working media on assignment are provided complimentary admission and will be accompanied by a representative from the Public Relations Department to assist with information gathering. Requests must be made 7-10 days in advance. Please review guidelines before requesting passes. 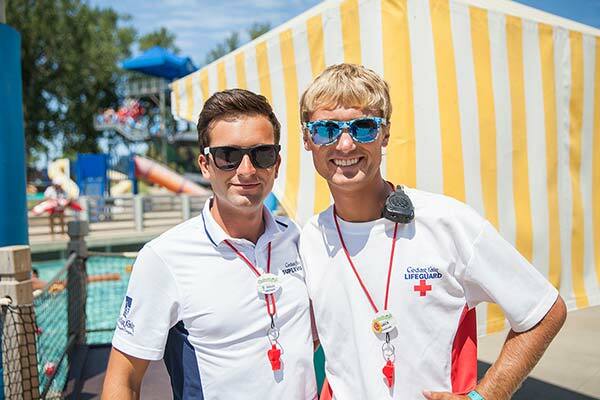 Credentialed media who live and work in our region within 250 miles of Carowinds. Working journalists only. Office, sales, operations or retired personnel do not qualify. Online: Websites and bloggers who can provide documentation that the site receives at least 10,000 hits/month. Two (2) complimentary passes per season good for Sunday through Friday only. No Saturday passes will be issued as that is our busiest day. Passes are not valid for SCarowinds, concerts, or other special events. Please Note: There will be no ticket exchanges for the date submitted on your request. No exceptions. We are aware that some newspapers, radio stations and television stations prefer their personnel not accept complimentary passes to events and attractions. We respect this policy and will decline to offer passes to your personnel if you so indicate. Please contact the Public Relations Department if you wish to have your organization excluded from this list. Looking for just the right words and word count? Carowinds is right at the heart of where the Carolinas come together. Located off I-77 (Exit 90) at the NC/SC border, Carowinds offers a full day of fun for everyone. Kids love to let loose at Camp Snoopy and thrill-seekers flock our collection of world-class rides, including the new Copperhead Strike. Splash, slide and chill at Carolina Harbor Waterpark, included with admission. For over 45 years, Carowinds has been right at the heart of where the Carolinas come together. Located off I-77 (Exit 90) at the NC/SC border, offers a full day of fun for everyone. 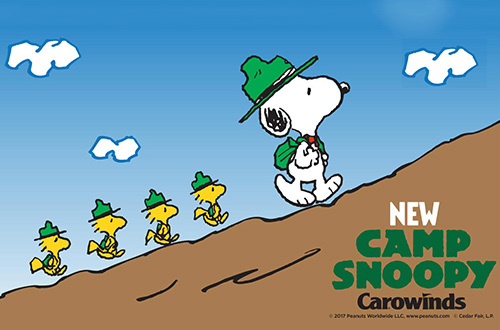 Kids love to let loose at Camp Snoopy. Thrill-seekers flock to our astounding collection of world-class rides, including the new Copperhead Strike, the Carolinas’ first double launch coaster. Splash, slide and chill at Carolina Harbor Waterpark, included with admission. Lifelong memories await you at Carowinds. For over 45 years, Carowinds has been right at the heart of where the Carolinas come together and where friends and family come together for lifelong memories. Located off I-77 (Exit 90) at the NC/SC border, Carowinds is steeped in Carolina culture. So join us to see, taste and experience just why we love it here. 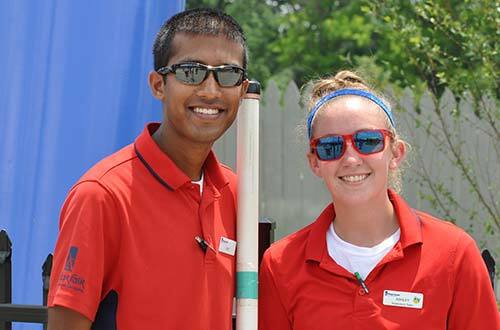 Carowinds offers a full day of fun and excitement for everyone. Little ones love the crazy antics of Snoopy and the PEANUTS™ gang at Camp Snoopy. Thrill-seekers can get their fix on our astounding collection of world-class rides, including the new Copperhead Strike, the Carolinas’ first double launch coaster. Splash, slide and chill at Carolina Harbor Waterpark, included with admission. Memories with friends and family are waiting at Carowinds. Visit carowinds.com for more information. The premier entertainment destination of the Carolinas, Carowinds touts world-class thrill rides, live entertainment, delicious dining options, immersive events and more and offers a full day of fun and excitement for everyone. Little ones love the crazy antics of Snoopy and the PEANUTS™ gang at Camp Snoopy, filled with rides and attractions perfect for little ones. Folks enjoy strolling through the new Blue Ridge Junction area, featuring the new Blue Ridge Country Kitchen restaurant and Granny’s ice cream shop. Thrill-seekers get their fix on our astounding collection of world-class rides, including the new Copperhead Strike, the Carolinas’ first double launch coaster. Splash, slide and chill at Carolina Harbor Waterpark, included with admission, or pick a shady spot and enjoy some live entertainment. Memories with friends and family are waiting at Carowinds. Visit carowinds.com for more information. The premier entertainment destination of the Carolinas, Carowinds touts world-class thrill rides, live entertainment, delicious dining options, immersive events and more and offers a full day of fun and excitement for everyone. Little ones love the crazy antics of Snoopy and the PEANUTS™ gang at Camp Snoopy, filled with rides and attractions perfect for little ones. Folks enjoy strolling through the new Blue Ridge Junction area, featuring the new Blue Ridge Country Kitchen restaurant and Granny’s ice cream shop. Thrill-seekers get their fix on our astounding collection of world-class rides, including the new Copperhead Strike, the Carolinas’ first double launch coaster. Splash, slide and chill at Carolina Harbor Waterpark, included with admission, or pick a shady spot and enjoy some live entertainment. Memories with friends and family are waiting at Carowinds. With SCarowinds, The Great Pumpkin Fest, WinterFest and a host of other special events throughout the season every visit is unique. The Cirque troupe is back by popular demand with a mesmerizing show sure to leave you breathless. With so much to do, one day at the park just isn’t enough. 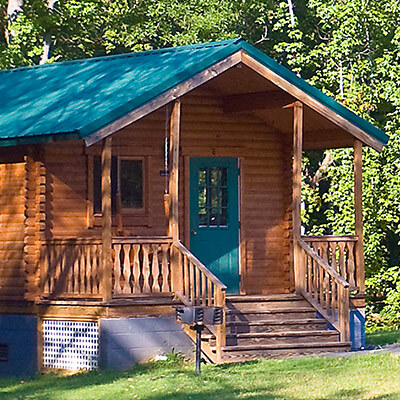 Guests can kick back and stay a while at our on-site family campground, Camp Wilderness Resort. More than 60 rides, shows and attractions offer up everything you need to make lifelong memories at Carowinds. Special ticket packages are available. And Carowinds hosts the best group and corporate events around. Visit carowinds.com for more information including operating hours, our event calendar and pricing.